Based in Victoria, British Columbia, Peter Brunette composes and performs songs that celebrate the joys and follies of everyday life, revel in the glory of the expanding universe, and stick it to the powers that be. Whether singing of the passion and fragility of young love, the sedate but durable charms of the more seasoned variety, the colorful history of his home province, the beauty of the glacier lily, or the mating habits of the leatherback turtle, Peter never fails to set arresting words to his infectious melodies. When he performs at folk clubs and coffeehouses around Vancouver Island and the Lower Mainland—either solo or with his Lake Hill Band—audiences are often moved to laughter, occasionally to tears. 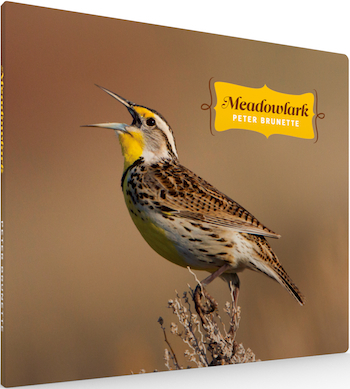 Peter’s first CD, Meadowlark, produced by Corwin Fox and comprising twelve original compositions, was released January 1st, 2015. The album showcases Peter’s distinctive songwriting and down-home vocal style, complemented by Corwin’s sparkling arrangements for guitar, mandolin, fiddle, accordion, banjo, and more than half a dozen other instruments and voices. It has received airplay on CBC Radio as well as campus and community stations across western Canada and has charted in the Top 10 Roots Albums. One of the tracks, “Cordillera,” has been chosen as the theme song of the Cordillera Campaign.